Whether it is a Pizza parlor or a diner; a bakery or a sit down restaurant ovens are one of the essential kitchen units in any restaurant. Ovens are considered the hub of any kitchen. The type of kitchen depends on the kind of food served. For e.g. there is a lot of difference between an Italian restaurant that serves Pasta or Pizza and a sandwich shop. Restaurant ovens for sale are available at our store Chefs Deal Restaurant Equipment. (https://www.cdrestaurantequipment.com/). Hot air is circulated by a fan throughout the cooking compartment. Cooking is even and consistent. The time taken is also faster. This is ideal for bakeries and restaurants. There are three types available. They are Electric Convection Oven, Gas Convection Oven and Countertop Convection Oven. Safe microwave radiation is used to cook food. The food is cooked all through in a short time. They are mainly used to reheat foods and cook entrees. There are three models available. They are Light duty microwave oven, Medium duty microwave oven and Heavy duty microwave oven. You can choose the type based on your requirement. This is ideal for a Pizza parlor or an Italian restaurant. It can be used to make all varieties of pizzas. There are a variety of sizes available from Small counter top to Full size pizza deck oven. Smoky flame is infused by heating wet wood strips. This is safe for indoor use. It can be used for roasting pig and other meats. The different types are Smoker Ovens, Indoor Smokehouses and Pig roaster. 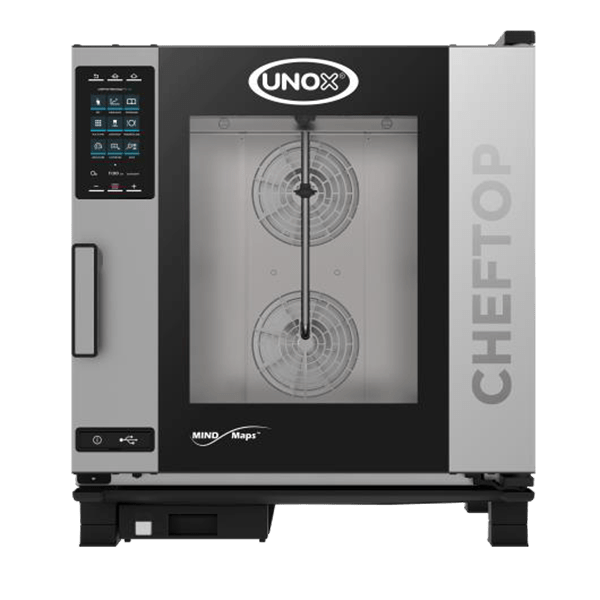 Other commercial ovens include Bakery Deck ovens, Rapid Cook/High speed Hybrid Microwave ovens, Cook & Hold Ovens, Rotisserie Ovens, Combi-ovens and Cheese Melters. Oven parts and accessories are also available. At Chefs deal restaurant ovens for sale we give you affordable and efficient equipment of assured quality. The decision on the kind of oven depends on many factors. While deciding on kitchen equipment it is better to settle for something that is versatile. Budget is indeed an important factor. In addition there are other factors. They include the following. Based on fuel: Buying a gas or electric oven has its own pros and cons. Gas ovens cost more upfront but, are economical in the long run. Electric ovens are cheaper but working costs include high electrical costs. Size and type of Oven: This depends completely on the kind of kitchen you are working and the type of foods you are serving. Reliability: The oven should be from a reliable manufacturer. Spending money on frequent repairs is not helpful. Sudden breakdown at a peak time may create a loss in business and popularity. At Chefs Deal Restaurant Equipment quality of restaurant ovens for is assured.